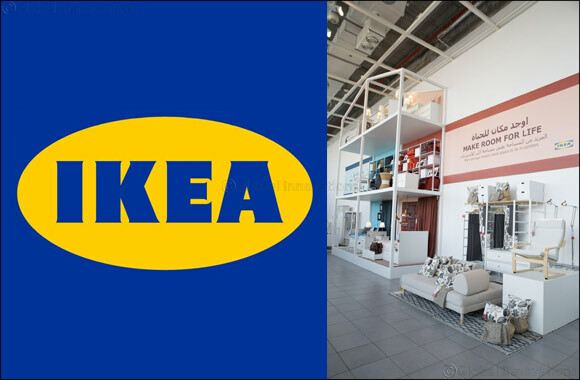 United Arab Emirates, 24 April 2018: IKEA, the region’s favourite Swedish home furnishing retailer, is inviting shoppers to join them in a series of celebrations of both local culture and better living throughout the coming weeks in both their Dubai and Yas Island stores. 1) On Tuesday May 1st, IKEA is hosting an afternoon of sweet celebrations for HAG AL LAILA, an Emirati traditional festivity similar to ‘trick or treating’. With cultural performances, delicious sweets, Emirati games and more, families are encouraged to IKEA to indulge in a fun-filled day. 2) At IKEA Yas Island, the much-loved retailer, will be celebrating Dining Week with shoppers from April 28th – May 5th, with activities ranging from cooking classes to free food workshops.